Simply put, there have been fewer better, nicer, more knowledgeable and more important people in the world of Italian wine than Leonildo (Nino) Pieropan. Words are truly incapable of expressing who Pieropan was and what he stood for: a beacon of world-class wines back in the 1970s when Italy’s white wines were mostly an afterthought, an absolute innovator, an intelligently critical voice of Soave’s coop-dominated world, a first-rate Amarone producer and, last but not least, one of the founding members of the all-important Federazione Italiana Vignaioli Indipendenti (or FIVI). Although Pieropan’s health had not been good for some time, the news of his passing came as an absolute shock to most everyone. I was in my teens when, thanks to my dad, I tasted my first great Italian wine. It was Pieropan’s 1971 Soave Calvarino. No Italian white wine I had ever tasted up to that point was remotely close to the quality of that wine. I still remember every drop. The fourth time I drank a truly great white wine from Italy was a couple of years later, which tells you just how hard it was to come by great Italian white wines. This time it was Pieropan’s 1979 Soave Calvarino. That may help put things into perspective. Pieropan has accompanied my life in wine, and he has done so with grace and style. I first met Leonildo Pieropan in the mid to late 1980s in Rome. That encounter was enough to make me drive up to Soave and visit him at the estate. I cherish that walk in the vineyards as one of the most memorable moments of my life. In a couple of hours with Nino, I learned more than I have listening to other people for days. Nino had an encyclopedic knowledge about Soave, its history, its viticulture and its wines, and was always generous in sharing his time, anecdotes and information with all who visited the winery. Pieropan’s grandfather, also named Leonildo, founded the estate in 1880 and was the first to bottle a wine labeled “Soave” in 1932, even though the Soave DOC was established only in 1968. But it was Nino, who graduated in 1966 from the famous oenological school in Conegliano, who took Pieropan to the highest echelons of wine relevance. He was the first to bottle a single-vineyard Soave, the 1971 Calvarino of my memories, from a vineyard owned by the family since 1901. In 1978, Pieropan released a second vineyard designate wine, from the family’s La Rocca vineyard. Both remain among Italy’s twenty-five or so best whites. Leonildo Pieropan died on 13 April 2018, aged 71. 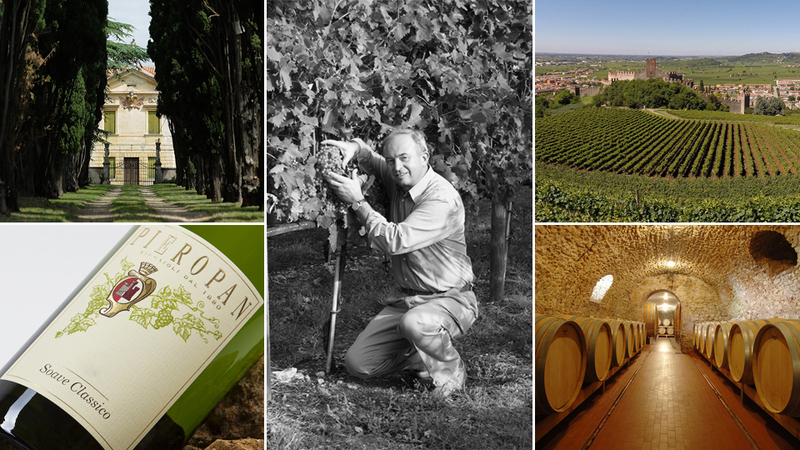 Pieropan will be missed by everyone who cares about quality wines, and the people who make them. The two are not as common as we’d all like to think they are. Nino’s wife Teresita and his two children, Andrea and Dario, will no doubt ensure that Nino’s legacy lives on in the gentlemanly style he was known and admired for. All of us at Vinous would like to extend our condolences to the Pieropan family.